Place Rice, Chicken Broth and 1/2 jar Green Curry Sauce in pot with lid and bring to boil, reduce heat to medium low and cover. Simmer until all liquid is absorbed, about 20 minutes. Remove from heat and let sit covered for 5 minutes. Place Rice, remainder of Curry Sauce, Shrimp and Bell Pepper in a bowl and toss to incorporate all ingredients. Serve on Lettuce or Cabbage Leaves or just place on serving plate. Could you use couscous in this recipe? If so, what type of couscous and how much would you use in place of the uncooked rice? Would you use 1 1/2 cups of uncooked couscous? I would use Israeli couscous, I like the larger size for a salad. How much depends on how you want the shrimp/couscous ratio to be. 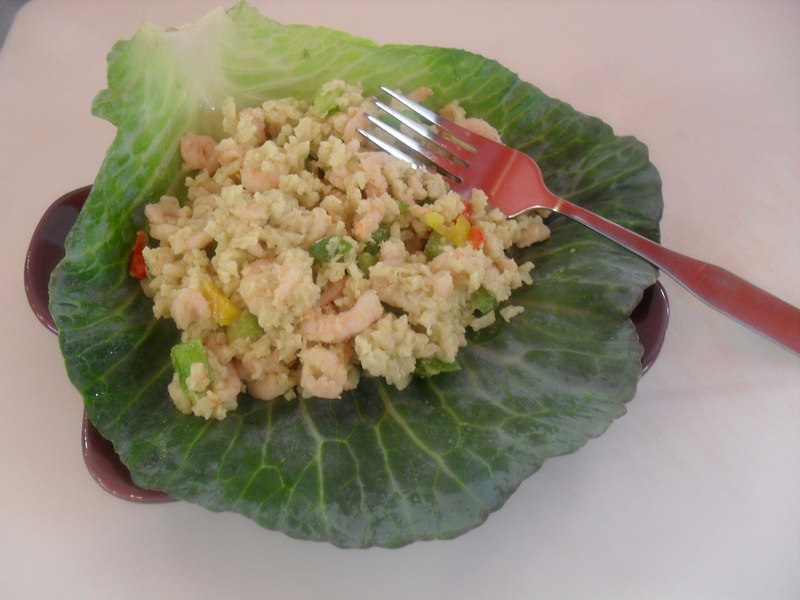 If you want more shrimp than in the photo use less couscous, if you want it to be the same then use the 1 1/2 cups. 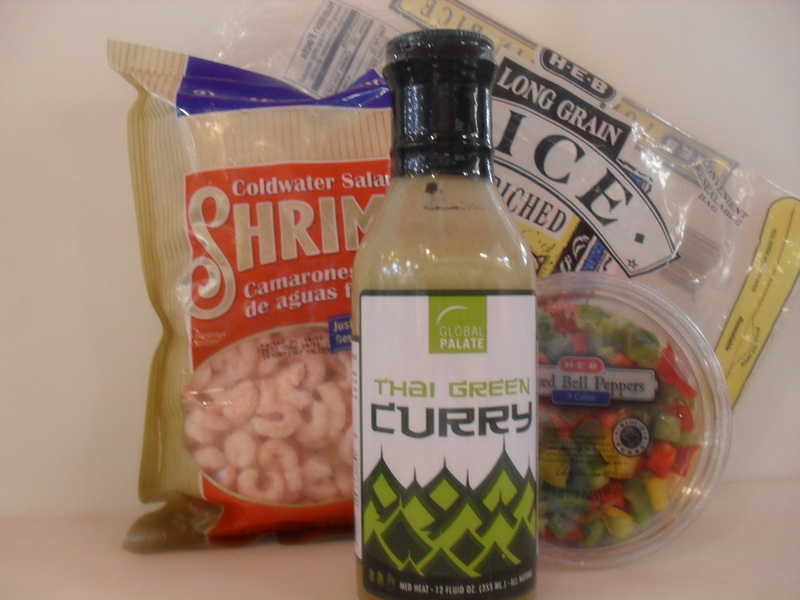 I personally like more shrimp and more Green Curry flavor and would use 1 cup. Hope this helps. Does damned Flying Monkeys must be up to some mischief again!! thai green curry is suits with seafoods and rice….. Thank you Dentist Chef! Appreciate your stopping by!